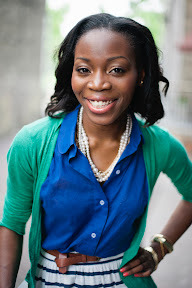 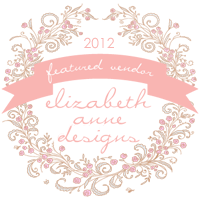 Urbane Montage Blog | Twin Cities Wedding Planning Ideas + Inspiration: Bridal Market |Lace, Pleats, Romance Oh My! 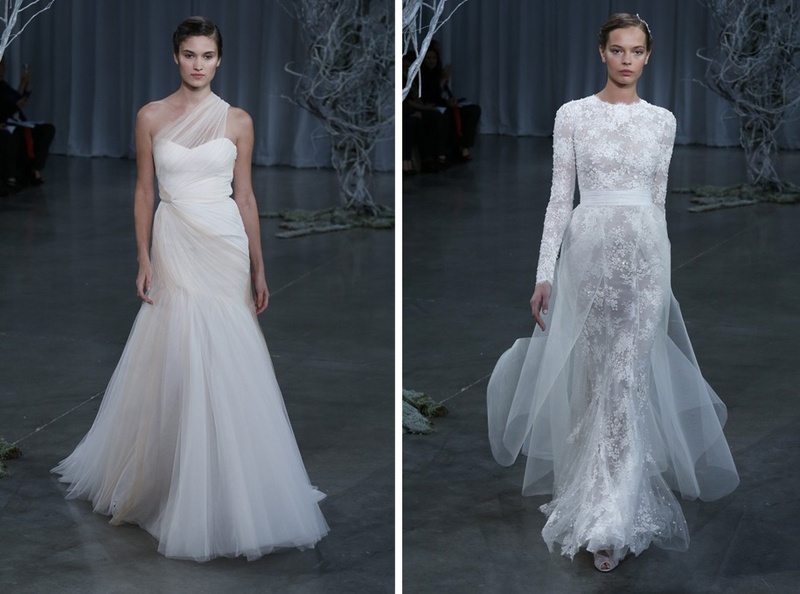 New York's Bridal Fashion Week has come to an end. 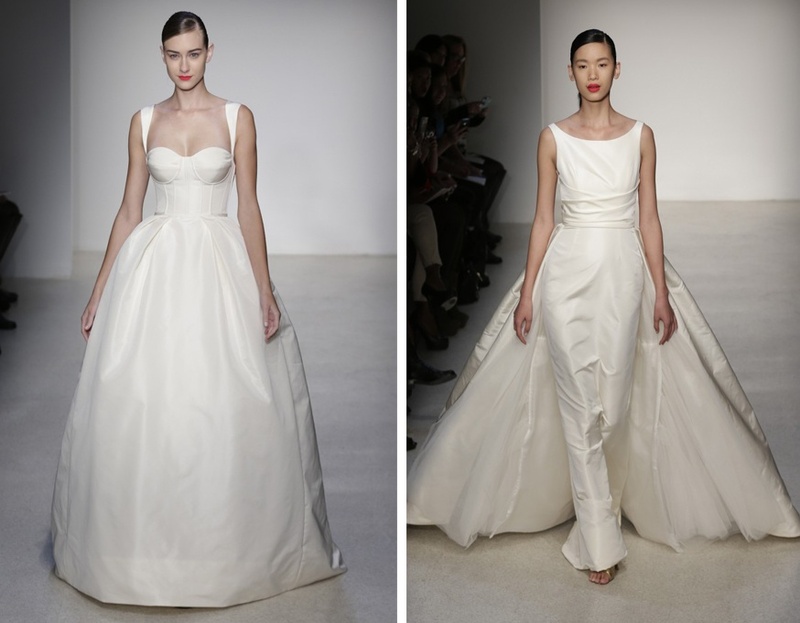 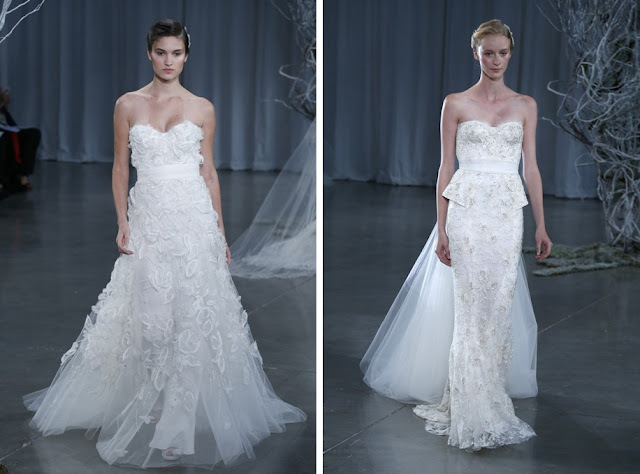 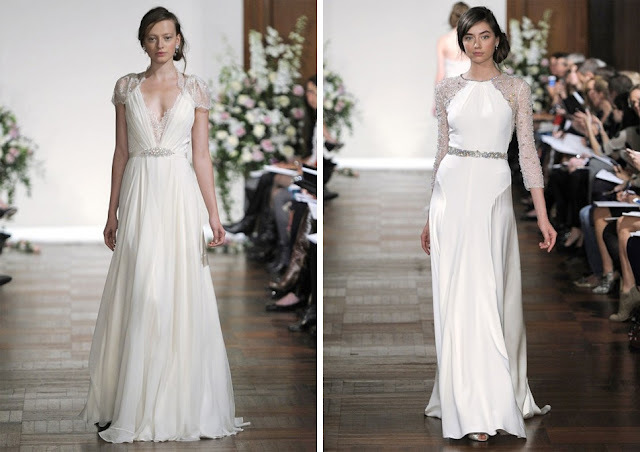 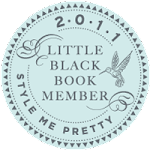 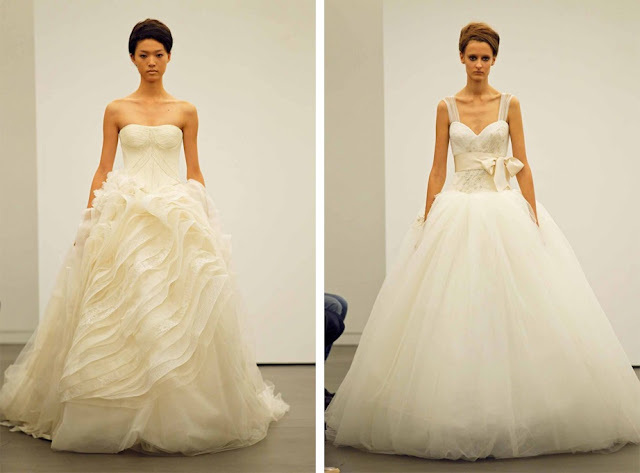 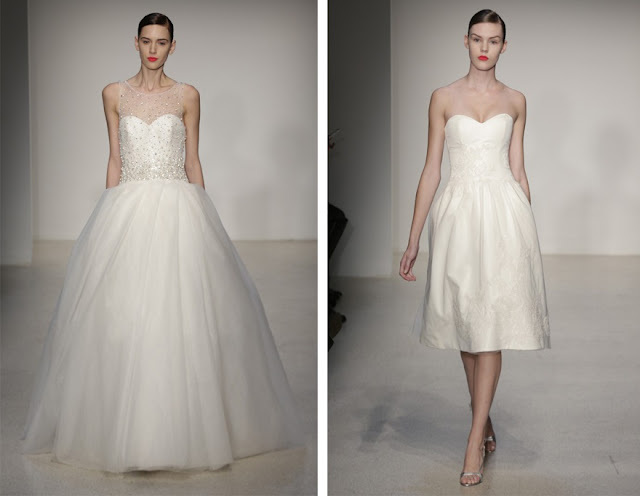 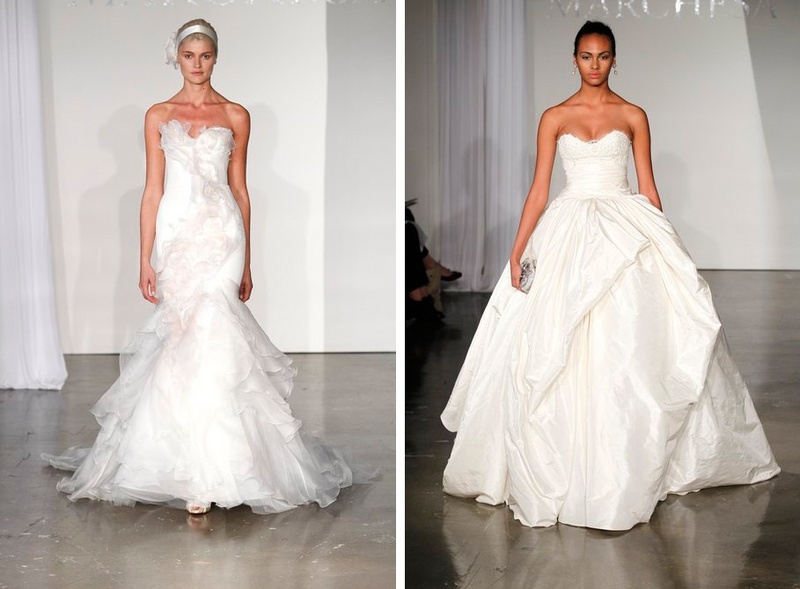 We've been watching the reveal of the Fall 2013 Bridal collections and yes we are still drooling (no shame here) over these gorgeous designs. 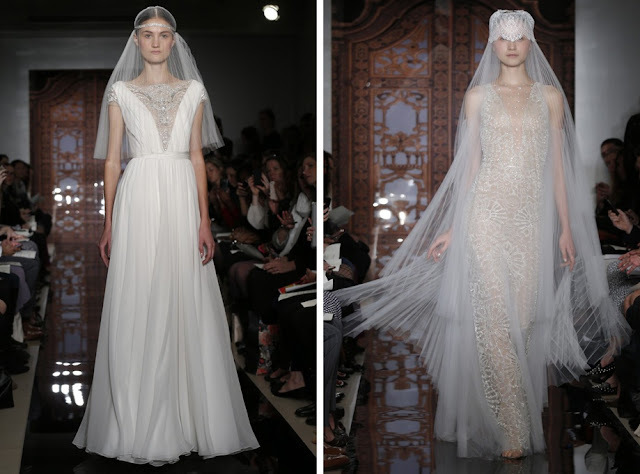 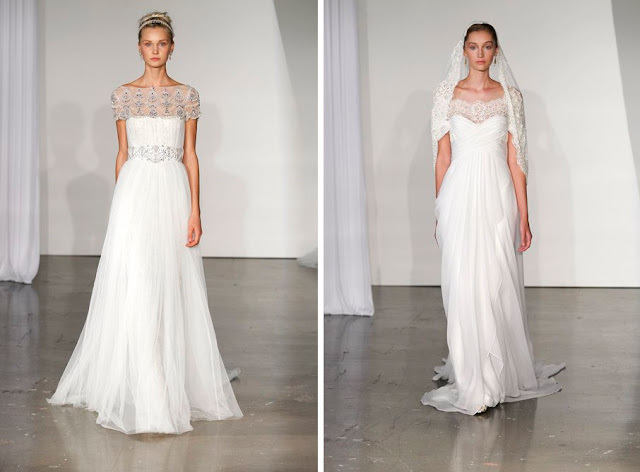 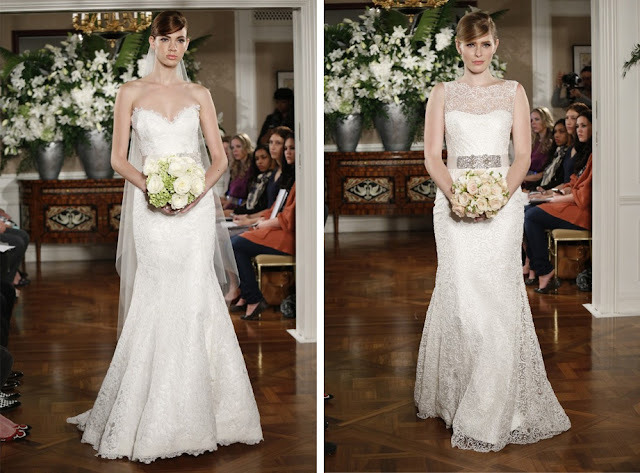 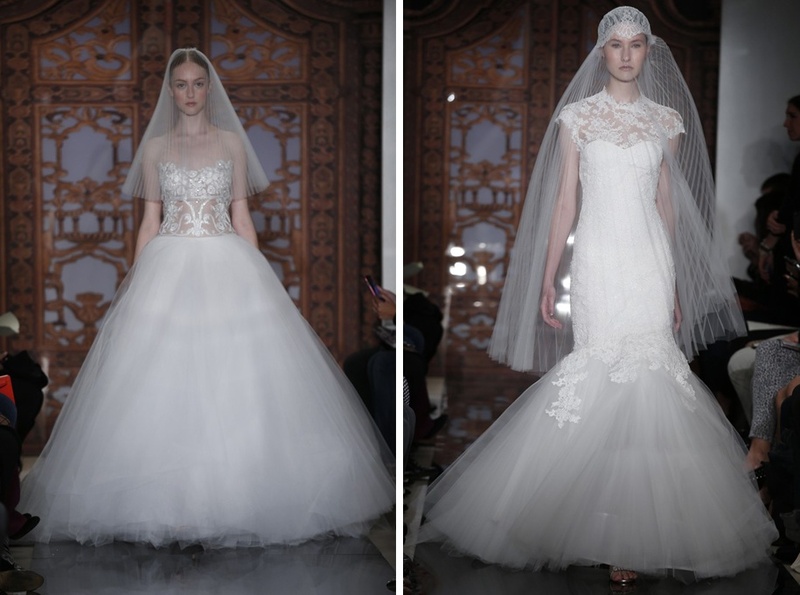 Such beautiful lace, pleated veils, truly a touch of romance and a yes to sleeves. 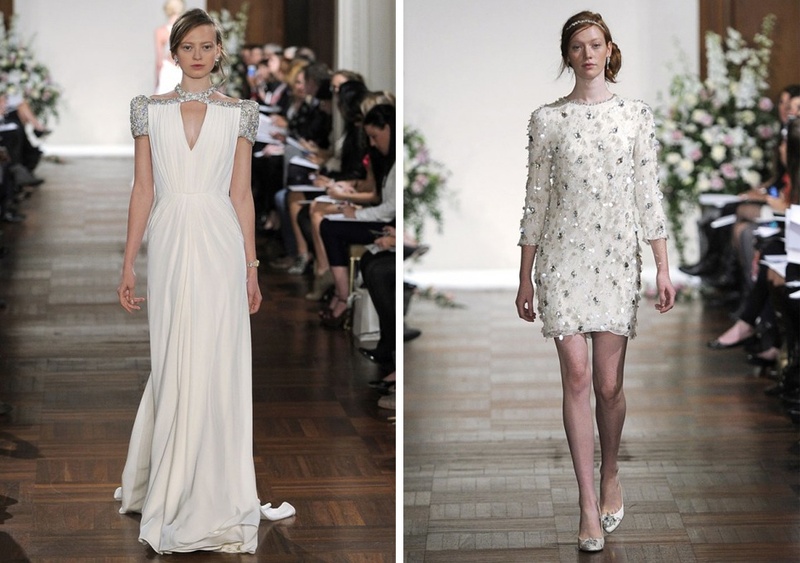 Here are just a few of our favorite designers that hit the runway. We think you can agree with us that they are all breathtakingly beautiful!